I’ve had a bit of a thing for breakfast sandwiches recently. I tend to keep it pretty simple – whole wheat English muffin, egg, and Canadian bacon. Occasionally I’ll get the egg white and turkey bacon sandwich from Starbucks and it’s pretty great. And fine, I’ll admit it, a McDonald’s Egg McMuffin just can’t be beat. Can I get an amen? 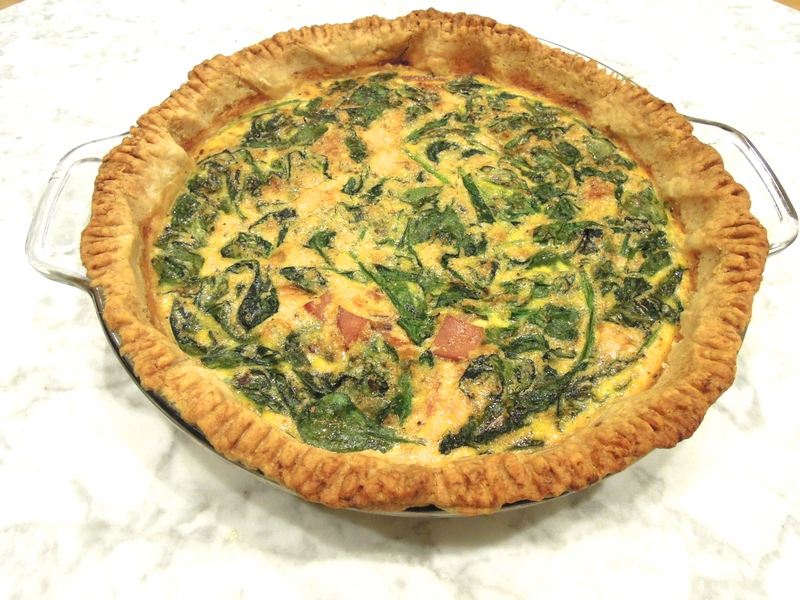 Well, what happens when you combine all of that breakfasty goodness into a flaky pie crust, add some shallot and chopped baby spinach for extra flavor and health and call it a quiche? Only good things, let me tell you. So that’s exactly what I’ve been doing pretty much every week for the past month. It’s incredibly versatile and works for any meal. I’ll pop one in the oven whenever I have a backlog of ingredients in our refrigerator and we’ll eat it for breakfast (first or second), Robert often takes it to work for lunch, and it’s totally great for dinner, too. Make one and eat it all week! Prebake pie crust in a pie plate according to package directions (the one I use from Trader Joe’s cooks for 10 minutes at 450 degrees). In a skillet, heat some olive oil over medium heat. Saute shallot until softened, about 3 minutes. Add Canadian bacon and saute until lightly browned, 3-5 minutes. Add spinach, cook until wilted. Remove skillet from heat. In a medium-sized bowl, beat eggs. Add milk, baking powder, hot sauce, salt and pepper, and whisk until combined. Mix in shallot, Canadian bacon, and spinach. When pie crust is done pre-baking, set oven to 350 degrees. Fill pie crust with egg mixture. Bake 45 to 50 minutes until eggs are cooked through and crust is golden brown. Serve with smashed avocado, salsa, ketchup, or whatever you like! 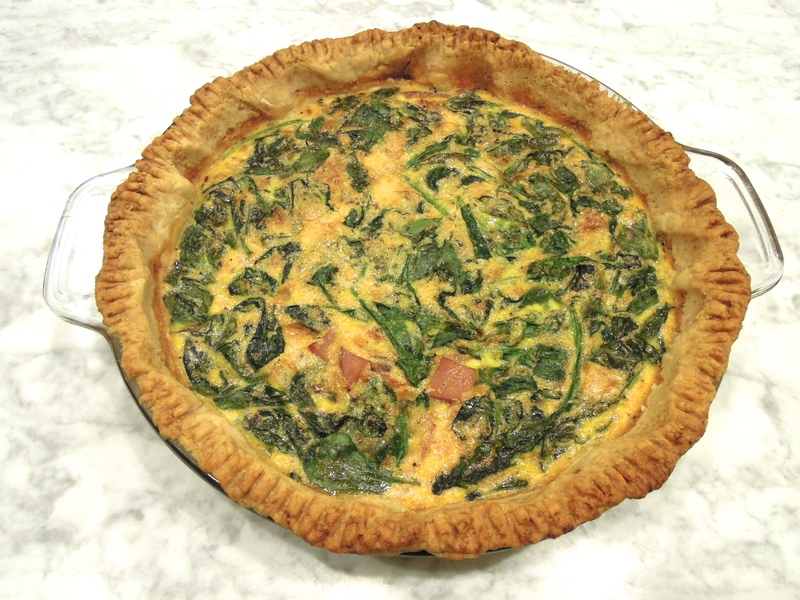 This entry was posted in Breakfast on January 7, 2015 by Paige Greenfield.